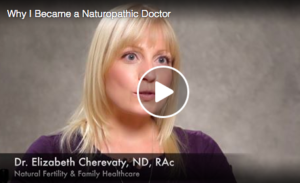 Welcome to Naturopathic Care! There’s a reason you’re here today and I’d love to help you find what you’re needing. As a Naturopathic Doctor and Registered Acupuncturist, my commitment is to provide you with safe, effective tools to optimize your health and help you get back to enjoying your life more abundantly. In my family practice in Guelph, we work together to find practical health solutions for you and your family that actually address the root causes of your symptoms. From detox support and cleanse programs to dealing with stress to boosting your kids’ immunity, you’ll learn how to take care of yourself, feel better, prevent illness, reduce reliance on medications, and feel a whole lot better about your self and your life! We’re super passionate to help you live your best lives through optimal heath. If you’d like to work with a doctor who provides thorough, attentive, compassionate and empowering care tailored to help you optimize your health throughout your life, working together could be a great fit. I devote a significant portion of my practice to Perinatal Care, including my WellConceived (TM) Fertility Program, 21-Day Fertility Cleanse Program and natural healthcare for women before, during and after bringing their babies into the world. I also treat children and infants from day one of life to help give them their best possible start in life. And you’re always welcome to bring your kids to your visits. More about Dr. Liz here. us in Guelph, Dr. Antoinette brings a wealth of experience, passion and dedication to serving women’s, children’s and families’ health needs in our beautiful Royal City. 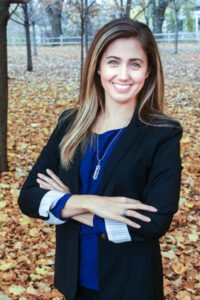 Dr. Falco is an expert in fertility and offers the Well Conceived Fertility Program at our new Guelph South End location at 1453 Gordon Street. We’re very excited to be working with leading women’s health practitioners including the pelvic health physiotherapists of Eramosa Physiotherapy Associates at the brand new multidisciplinary Guelph Women’s Health Associates clinic! Dr. Antoinette heads up our naturopathic programs including our fertility program at this new South End location. Get to know Dr. Antoinette and feel free to contact us with any questions about how we can help you achieve your family’s health goals. Have questions? Contact us to schedule a complimentary 15-minute introductory consultation, where you’ll find out how Naturopathic Medicine can help you or child start feeling better. You’ll receive answers to your questions and get a sense for what working together would be like. We’ll set you up with the next right steps toward your goals, and if we can’t help you best, we’ll help you find the person who can. Book online or contact us at (519)265-6963 for more information. We are looking forward to helping you discover the benefits of optimal health!